Art, Music, Physical Education, Mandarin, Physical World Lab (sometimes called, “Shop”) along with Library while called “Special Subjects” are, in fact, part of the core curriculum at Hanahau‘oli. The concepts, processes and skills in each discipline are taught as a foundation for creative, self-expression and connection-making as children study classroom units. 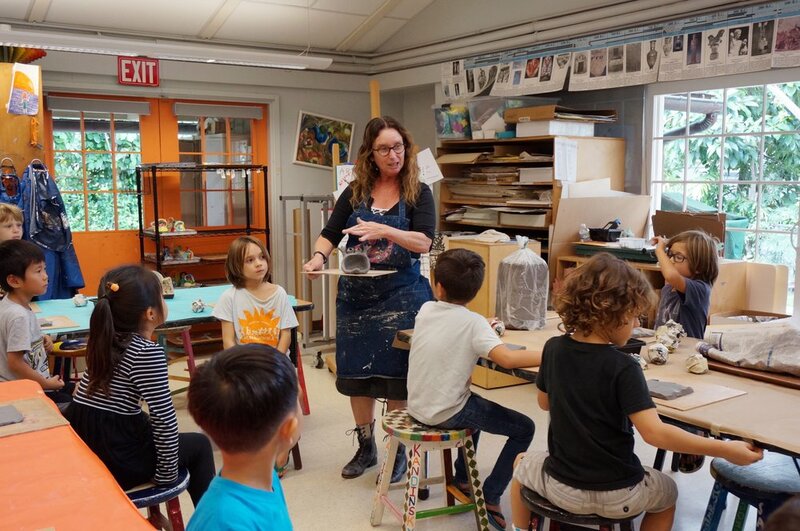 Children are offered a studio experience in visual arts which includes a variety of media from drawing and painting to clay and sculpture to weaving and design. Problem solving is the focus as children learn to observe carefully and investigate the creative process. 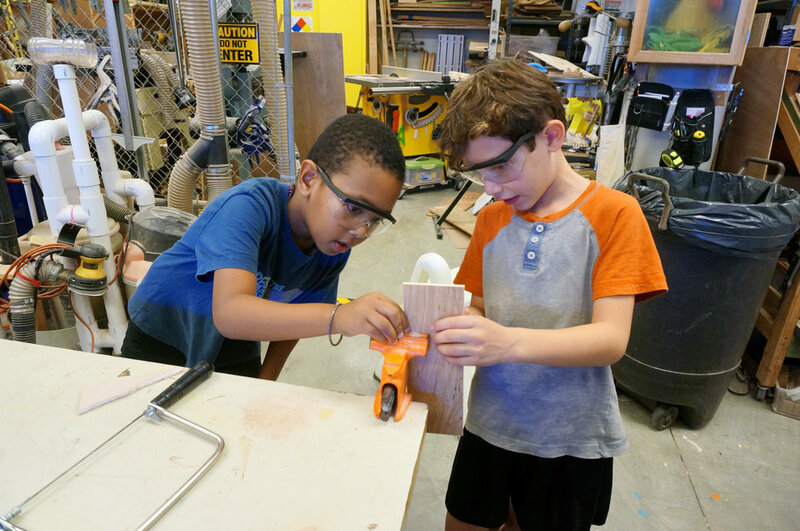 In Physical World Lab, children are invited to explore science and social studies concepts as they learn to use woodworking tools, investigate simple machines, discover the physics of sound or create a replica of an imaginary island. The program builds on the Deweyan notion that thinking and doing are connected and satisfaction results from a job well-done using one’s hands. Capitalizing upon the variety of strengths children bring to school and celebrating different learning styles, Mandarin, Music, and Physical Education classes build upon the natural connections students have in language, music, and movement. Music emphasizes singing, exploring and playing instruments, moving to the music and using concepts and skills to create, improvise and compose. In Mandarin, children engage in culturally authentic activities as the context for using language skills as a communication tool and developing a sense of themselves as citizens of a larger world. The activities and skills pursued in Physical Education emphasize movement and cooperation as foundations for healthy living while children learn traditional and non-traditional games and sports ranging from flag football and volleyball to creating original games, juggling and choreographing jump rope routines. 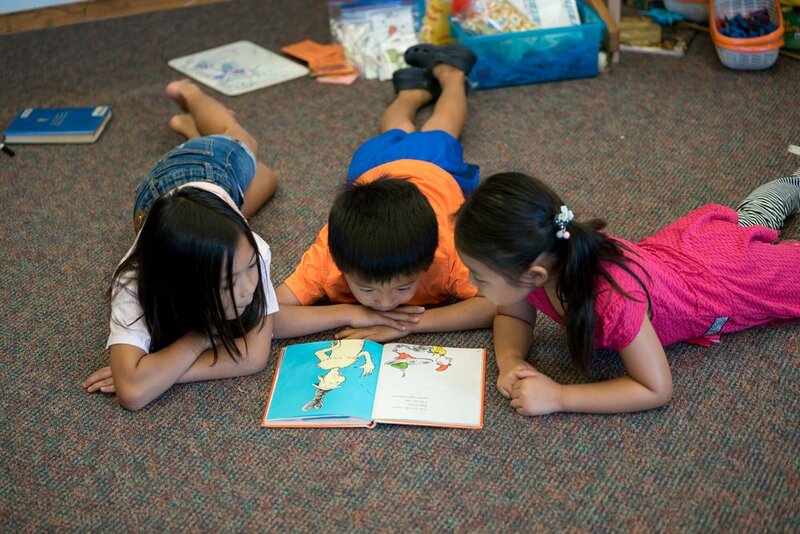 The library supports all classroom units with both fiction and non-fiction books as well as non–book materials. The librarian offers story times for children introducing them to new literature or genres along with working side-by-side with classroom teachers on literature and poetry units. Children can be found doing movie-like trailers of their favorite books for a school wide audience or blogging about literary elements as they read together. The technology program at Hanahau‘oli is fully integrated within the classroom program. Our goal as educators is to teach students to be competent consumers of technology and respectful digital world citizens. We support developmentally appropriate and innovative technology changes that help us become better learners. Orchestra and Band are offered to children in the Continuing Year of the Kulāiwi experience (3rd Grade). No prior experience is necessary and children are invited to play an instrument of their choice. There are two annual performances along with other special events. Enrichment classes are offered fall and spring each year after school (a separate fee is charged). While they vary with each year, a sampling includes stain glass design, painting and drawing, robotics, gymnastics, Japanese language, and hula.